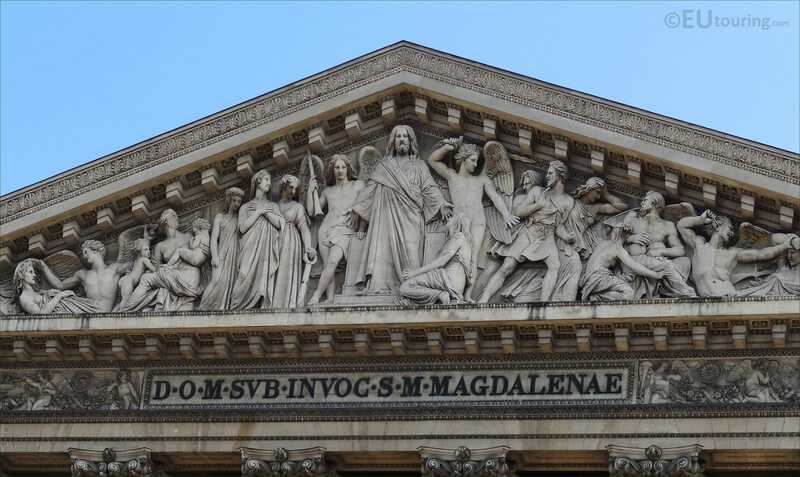 We were in the 8th Arrondissement of Paris at the Eglise de la Madeleine, when we took these high definition photos showing the Latin Dedication on the front facade of the church. This first HD photo shows the Latin Dedication, which reads DOM. SVB. INVOCATS. MAR. MAGDALENAE, and when this is translated into English, it reads; To the almighty and very great God, under the invocation of Saint Mary Magdalene, which makes you want to discover the patron saint of this church in Paris. Now here you can see the Latin Dedication below the pediment known as The Last Judgement, which was sculpted by Henri Lemaire, and although the construction of the Eglise de la Madeleine was completed in 1837, it was not until 1842 that the building was finally consecrated as a church dedicated to Mary Magdalene as King Louis XVIII had envisioned. 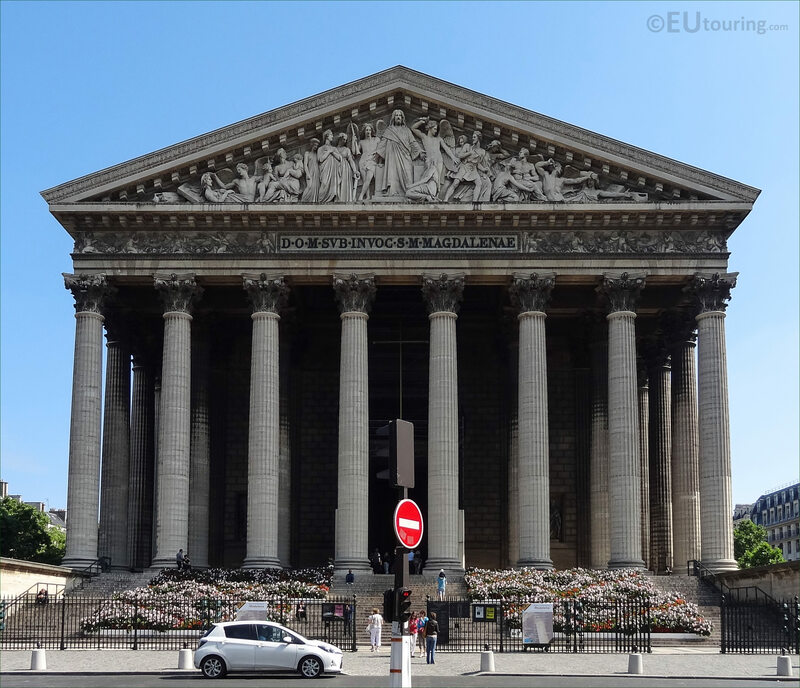 However, in this photograph you can see the entire front facade of the Eglise de la Madeleine, which we took while standing on the Rue Royale, facing towards the Place de la Madeleine where the church stands proudly in the centre of this prestigious area in the 8th Arrondissement.